Data recovery tools get better and better all the time. Whereas, recovering lost or deleted files and partitions were left to the IT experts, hackers, and alphabet agencies with vast budgets and powerful (proprietary) tools, at their disposal, a new generation of highly efficient data recovery tools put the same power into the hands of home users. Now, you too can restore your deleted files with surprising ease. But not all data recovery tools are created equal. Some have their advantages. Let’s take a look at some of the must-haves in modern data recovery software as of right now, in the summer of 2017. At the very baseline of requisite features that you will want in your data recovery software, of course, there is deleted file recovery. 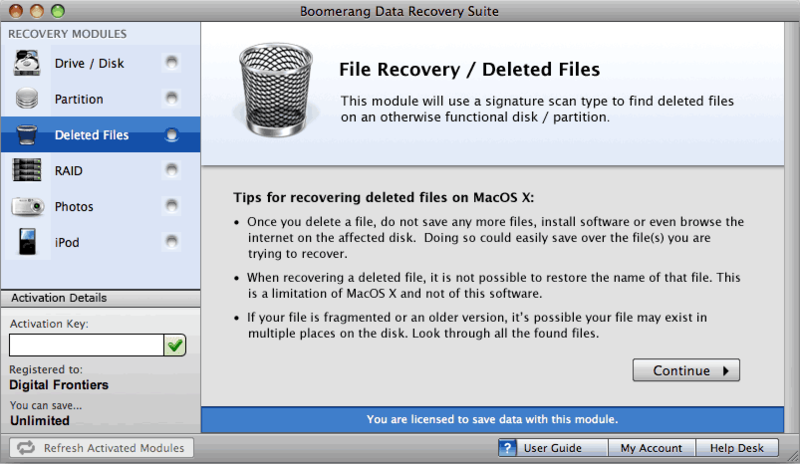 Files are deleted accidentally sometimes, and the most common reason users need data recovery is to get them back. The trouble is that files tend to degrade as data is moved to the disk. This means older file recovery methods were spotty at best, sometimes proving unable to actually restore these ‘degraded’ files. Fortunately, data recovery tools have come along way in recent years, and now tools exist that can recover degraded files. Most of us treat our SD and Flash drives like disposable trinkets, piling on files and ferry them around from our apartments, the library, and to our friends’ places with little regard for them. Sometimes, though the data stored on our removable media is truly important. But somewhere in all that shuffling around, even important files are lost or deleted. Contemporary data recovery tools can get lost files back, even on removable media, such as SD or Flash memory. The same processes that work on local hard drives work just as well for removable drives. One of the great unexplained phenomena of computing is the lost partition. Partitions are ‘slices’ of the hard disk which help keep everything in order and give the file system a plane of operation. Sometimes, though, they just disappear into the abyss. Now, modern data recovery tools can get back lost partitions. Current data recovery software can also restore deleted partitions. So the next time you perform a hasty reformatting and re-installation of your operating system, you can at least recover all those files that you forgot about until it was too late!